can not only fly like on the photo. He also recognizes the hypoglycemia in diabetes. At the beginning I was asked to make the dog calm down and make him lose his fear. His owner is a woman who has severe diabetes. Her medication in the past wasn’t done properly, which lead frequently to hypoglycemia and her behavior in this case also has changed. She couldn’t move her body without help from others. 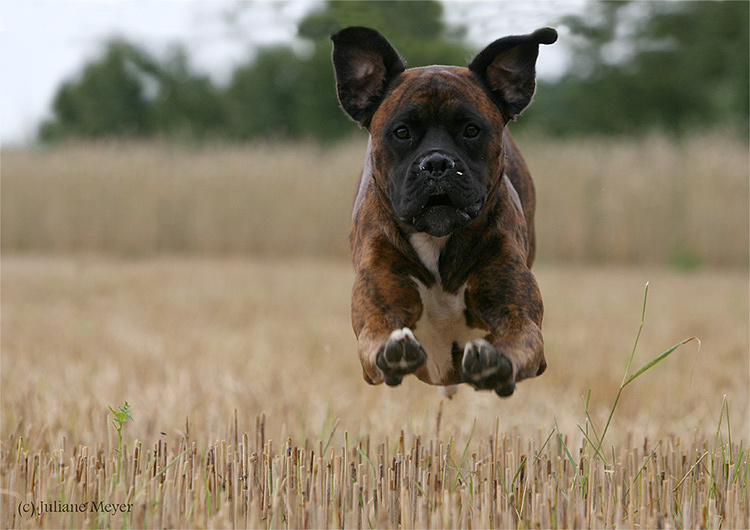 In these situations the boxer always becomes afraid and became into panic. With Merlins helpfulness I used the telepathic communication and today his owner is very proud of because he can warn her on time in case of hypoglycemia. He is so fast that she doesn’t even get into the more dangerous stages. Merlin is not a trained diabetes dog, but with the help of telepathic communication he is able to do the job for his owner. 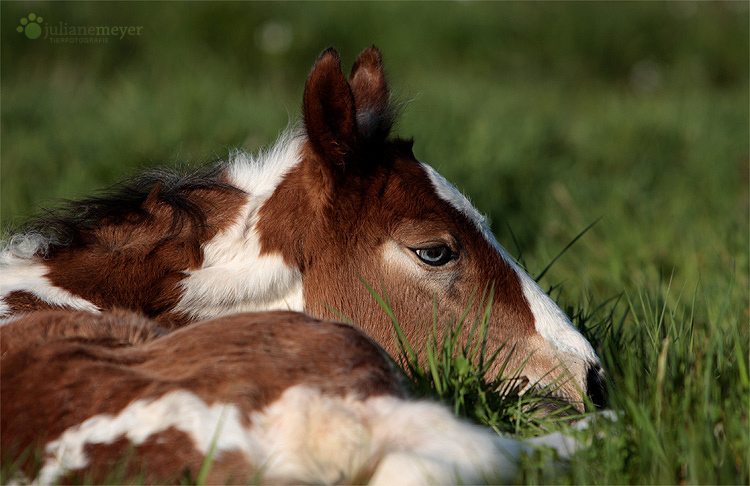 after the cute red and white Filly was born it wouldn’t let any human touch it. At the same time another Filly was born, in the same stable, which grabbed a lot of attention from the surrounding humans. So Toffees shy behavior was for all a mystery.The other Filly in the same stable was born and raised from an experienced Broodmare which gave it protection and guidance. As I sat in the box in a proper distance, I listened to the Filly and I understood from her that it´s mother had so much trust in humans and other horses and didn’t take enough care of it. The Filly was left alone in situations where it became afraid. For example being surrounded by many big horses without the protection of her mother. Then I communicated the mother and tried to deliver the message that she must take care of her Filly. I understood then that she was also young and it was her first Filly. This means that she doesn’t have experience with babies. I spent some time with the mother and then I suggested my help and support for them. After this communication the mother started to take care of her baby, she seperated me and a girl from the stable directly after my communication from the foal. And one day laterToffee also started gradually to make contacts with humans. Two weeks later you wouldn´t belive that she was scared in the past by any human touch. The other Filly in the same stable was born and raised from an experienced Broodmare which gave it protection and guidance. That was the reason why the two Fillys were so different in their behavior and reactions to it´s enviroment.